← Day 53: Walking Tour of Little India. As a woman, I like to indulge in things that smell pretty, including sticking my nose into every bunch of flowers I pass wherever I go. In my daily routine, I typically use a body spray followed by a spritz of perfume. It just seems to bring a dash of colour into my otherwise monochromatic morning. Apparently, your skin is one ginormous porous membrane that absorbs everything you topically apply to it, before sending it straight into your bloodstream, where your cells are not exactly delighted with everything they encounter, like plastic particles. I mean, there’s even a birth control patch now, for chrissake. Which got me to thinking that, like our food, if there are natural and organic alternatives without all the crap in them that are more or less equally effective, why shouldn’t I at least give them a try? It was precisely this kind of mindset that led me to notice the chalkboard in front of the Grassroots store, advertising a Bath Oils and Body Scrubs workshop. I had been in the shop a few times over the years, in particular after reading the entertaining yet informative book ‘Sleeping Naked is Green‘ a while back. It’s a great place to treat yourself to some hemp clothing, natural cleansers (bring your own reusable containers), or a baby gift for that first time neurotic mom in your crowd. 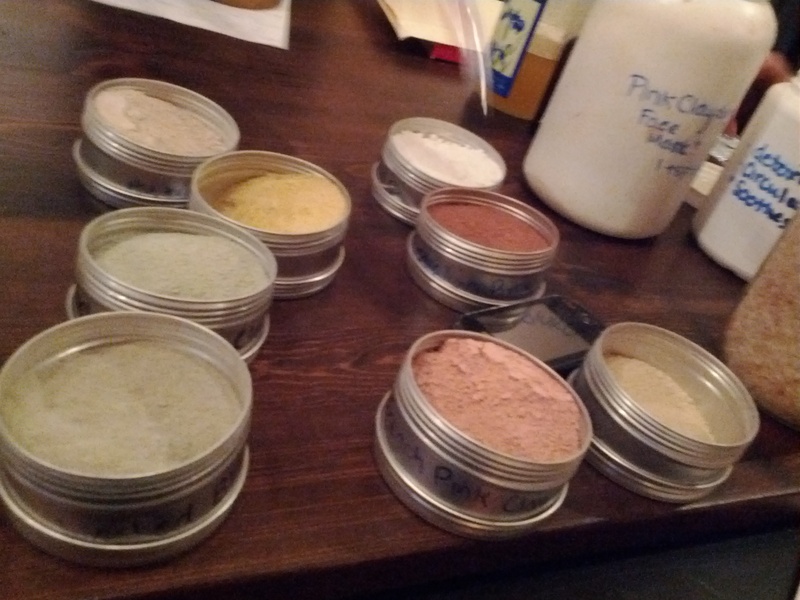 I have met a few people in passing who made their own creams and lotions, and they seemed very pleased with the results, so I thought, right, how hard could it be? 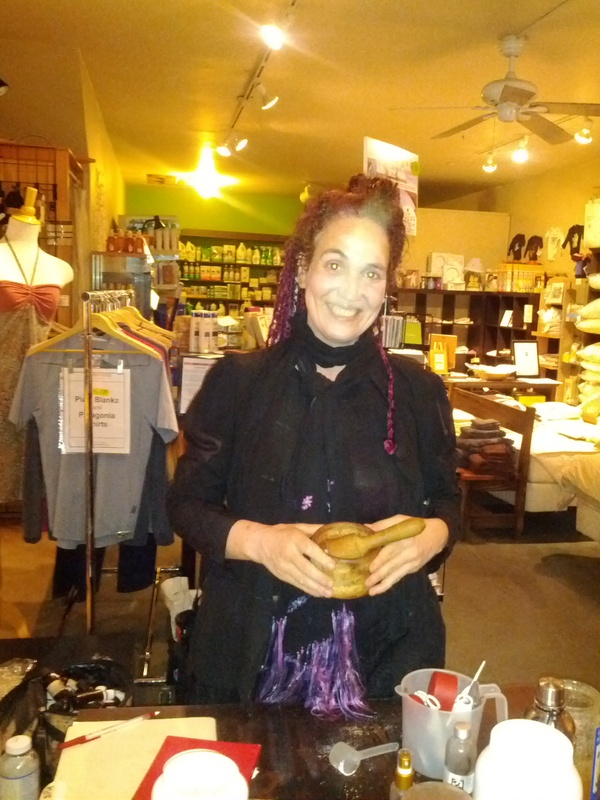 Tracey, our beloved Oil and Scrub Guru. A carrier oil – which can also contribute to healthier skin, scalp and hair; the carrier oil makes up the bulk of the finished product. Essential Oil – for scent. 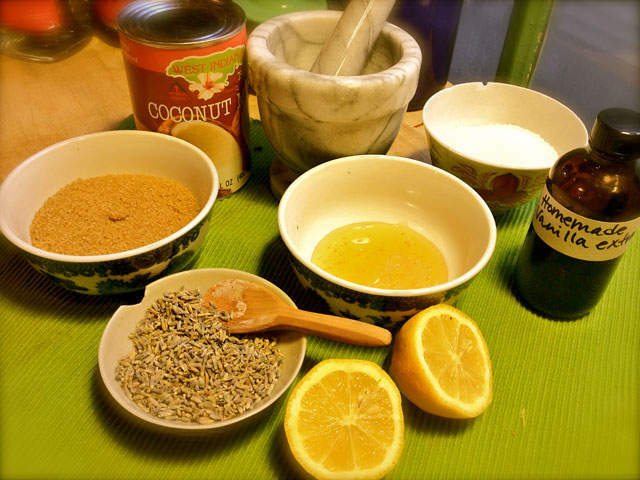 For my bath oil, I personally opted to try a lemon essential oil, which reportedly stimulates white blood cells, is beneficial to the liver, and brings clarity to the mind, all the while eating away your dead skin. Sounds good to me! I paired that with a very light walnut carrier oil that was already infused with frankincense (the gold and myrrh were curiously absent). Other than spilling the lemon oil and overfilling my container, the end result seemed fairly decent. I was pleased. For my bath scrub, well, I do love to experiment with random ingredients, and I fear my enthusiasm may have gotten the better of me. I have repeatedly been told ‘less is more’ in my adult life, but this contradicts the ‘more is more’ lesson I have had ingrained into my brain by my parents from an early age. In any case, I ended up with a concoction of Dead Sea salt, Epsom salt, Himalayan salt, vegetable glycerin, and some zeolite clay. To that, I added many drops of the uber-fragrant rose geranium essential oil, and dumped in some ground walnut husks and vitamin E for good measure. Now that I think about it, I’m pretty sure I forgot to add any carrier oil at all… ah, details. In any case, I’m sure it will be just fine to exfoliate and soak in a tub for a half hour or so tomorrow, so it’s all good! 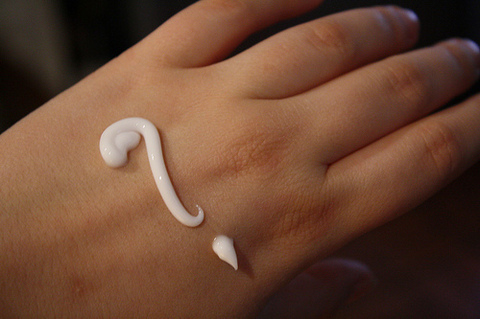 NEWSFLASH: If you have a t-zone with combination skin, that makes you human, not special. And with that juicy tidbit, I bid you good purging. It is spring, after all. Enjoy! This entry was posted in Educational, Spa and Beauty and tagged Anarres Natural Health, April, Bath Oils and Body Scrubs, beauty, Detoxifying, Educational, EWG, Grassroots, Skin Deep Cosmetics Database, Sleeping Naked is Green, spa, Toronto, Tracey TieF, workshop. Bookmark the permalink. 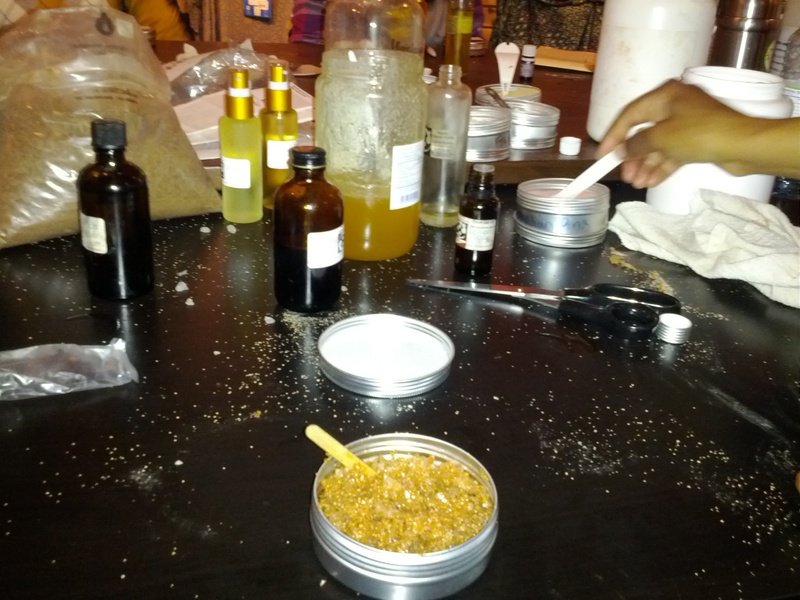 1 Response to Day 54: Bath Oils and Scrubs Workshop.